When you first begin your MMA journey, one of the first pieces of equipment you’ll want to buy is a pair of MMA gloves. Of course, you’ll have to get a mouthguard and other vital bits but nothing is quite as cool or exciting as purchasing your first pair of MMA gloves. Combat Sports have been in the MMA business for a long time. They’ve seen the highs of the sport, they’ve seen the lows and they’ve seen certain trends rise and then fall. They’ve learned what works and what doesn’t and have build a considerable wealth of knowledge and expertise when it comes to crafting the best possible pieces of kit. These 5 ounce training gloves are a great versatile pair of gloves that protect the entire hand and wrist area to prevent discomfort, pain and eventual injury. Most MMA gloves are about 4 ounces. The extra ounce on these gloves might sound like a lot. But it’s a 20% size/weight increase that allows more padding and protection to be spread around the glove, but especially around the wrist area. This is great as wrist weakness and wrist pain is probably the most common issue that arises when striking with MMA gloves. That extra protection is invaluable. Sanabul started out producing budget, entry level gear that gave it’s customers great value for money. They’re a real “have-your-cake-and-eat-it” company where for low prices you get great bits of kit. With their successes in the budget arena, Sanabul have been slowly releasing higher quality gear to corner the elite market too. These Battle Forged MMA gloves are once such product that prove that they can hang with the big boys like Hayabusa and Venum. These gloves are 4 ounces and come in four different sizes (small, medium, large and extra-large) unlike boxing gloves which often just come in different weights rather than specific hand sizes. Each size has a large amount of wiggle room so that people of all sizes can train in comfort with the security of knowing that their hands are well-protected. Upon their inception, Hayabusa shot straight to the top of MMA gear companies and they haven’t budged since. They’re not a company to rest on their laurels and coast on past successes. If a product line is doing well, rather than just let it sit there and rake in the money, Hayabusa deconstruct what made that product work and where it’s weaknesses lie so that they can improve it even further. Being the 3rd iteration of the Kanpeki MMA glove, this glove is a great example. Hayabusa have managed to combine an old-timey traditional look with a modernised style to produce a truly stunning glove. Everything Hayabusa makes looks incredible but the Kanpeki is truly something else. Like most of their products, these Kanpeki gloves are part of a larger, inclusive range that includes things like MMA gloves, boxing gloves, shin guards and headgear so that you can match your training gear together perfectly. One of the only companies that can compete with Hayabusa is Venum. They are plenty of great MMA gear companies out there but very few can produce such wide and such vast ranges of equipment consistently without missing a step like Venum and Hayabusa. These companies can take any MMA based need you might have and can provide you with a solution. No need to specialise or niche down to one product, they can do it all. Venum are known for providing their customers with a wide variety of different styles and colours to choose from when buying gear and these gloves are no different. These gloves have six styles to choose from including neon pink, neon yellow and neon orange. If in-your-face aesthetics aren’t your thing, Venum also have you covered with more subtle styles such as matte-black and plain white. If you’re moving into MMA from Muay Thai then you’ve most likely already heard of Fairtex. Fairtex are one of those brands in Muay Thai where you know that you can buy anything from them and be certain that you’re getting a great product; Tough as nails durability-wise, very comfortable and they look great. This is true of their boxing gloves and it’s definitely true of their MMA gloves too. Fairtex’s MMA gloves are so good, that for a long time they were the official gloves of the Strikeforce MMA organisation, which was a big competitor to the UFC before they were bought out. These gloves feature a slightly-more rounded knuckle padding compared to most gloves, offering slightly more padding and protection to the sides of your hands like around your little finger, etc. The slightly-exaggerated curves around the knuckles also help prevent the leather from cracking or pitting, keeping the glove in the action for longer without having to be replaced. Most people will end up using the spare, secondhand pair of gloves in the gym. They’ll pick the gloves up and the first thing that will hit them is the overwhelming stench emanating from them. Most people quickly decide then and there that is the first and last time that they’ll be wearing the spare gloves. These people will then opt to buy a cheaper set of MMA gloves for themselves. 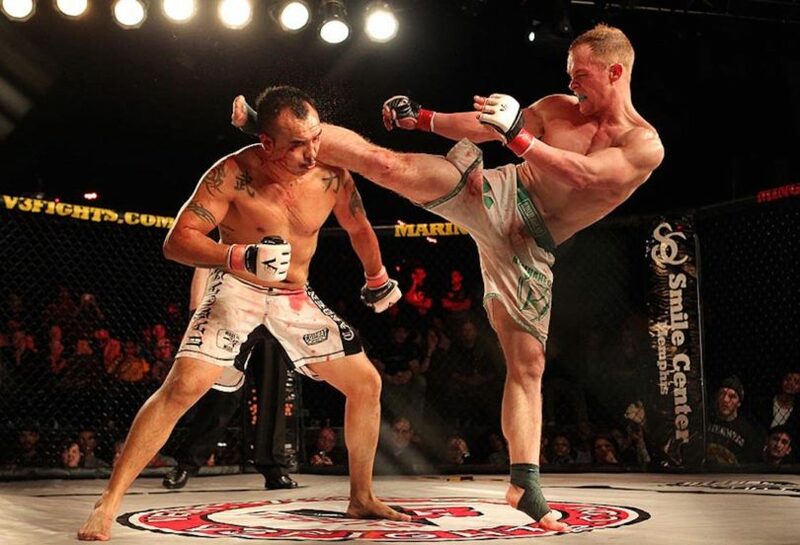 You don’t want anything too fancy or too expensive when you first start as MMA is tough and once the initial novelty and excitement wears off, you may find that the sport just isn’t for you. But if you’re already passed that stage, passed the initial excitement and still have a love for the sport, it may be time to upgrade those cheap, budget gloves that you’ve been using and opt for something that’s a bit more elite. A pair of gloves that are more comfortable, that provide better protection to your hand, gloves that stay fresher and cleaner and just generally a pair of gloves that look great. A good pair of MMA gloves, like the ones listed above, will last you a long term and will make a tough, gruelling sport more comfortable enjoyable in the long run. Do not underestimate the impact having great pieces of gear will have on your training. It can be a night and day difference.